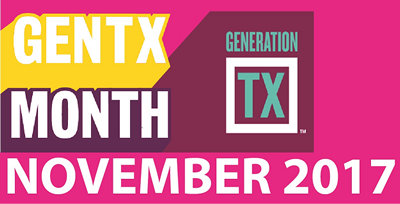 Accept the Generation Texas Month Challenge! We are Generation Texas. This year, we accept the challenge and commit to stepping up and fueling the movement called Generation TX to achieve our statewide goals. Whether we are students, parents, educators, schools, businesses, or community leaders, we commit to be a part of College Application and Financial Aid Month (known as Generation Texas Month) and to support this generation of Texas students. Together, through inspiration, information, and action, we will support students to complete college and financial aid applications this fall and reach these goals. We know that education beyond high school can lead us all to the future we want. We’re strong. We’re determined. We are in this together – students, families, friends, schools, and communities all working together to succeed. It’s up to all of us to get inspired and make it happen. Because the future of Texas is Generation Texas. 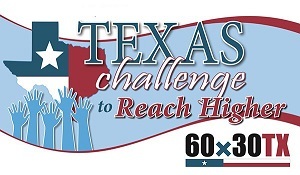 Generation Texas Month supports the regional efforts and goals of the 60x30TX Texas Challenge to Reach Higher, an initiative to increase college applications, FAFSA completions, and college readiness across Texas.